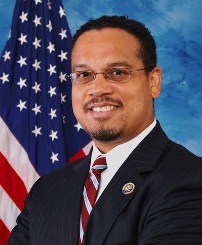 Minnesota DFL U.S. Representative Keith Ellison – a strong contender to become the next head of the Democratic National Committee – stated for the first time on Wednesday that if he became his party’s leader he would resign from Congress. That, of course, would prompt a special election – probably within a few months after the February 2017 DNC vote if decided in Ellison’s favor. And while special elections to the nation’s lower legislative chamber are commonplace – with an average of 4.2 held every year over the last half-century – they have been very unusual in the Gopher State. Minnesota has held just five special elections to the U.S. House out of the 589 contests held for the office since statehood (0.8 percent). By comparison, 18 of the 668 elections to the chamber conducted in neighboring Iowa have been specials (2.7 percent), with 20 of 772 in Wisconsin (2.6 percent) and three of 113 in South Dakota (2.3 percent). Minnesota did not hold its first U.S. House special election until 61 years after statehood – after the 1919 death of Democrat Carl Van Dyke in the 4th Congressional District. The Gopher State last held a special election 39+ years ago in February 1977 after 7th CD U.S. Representative Bob Bergland was tapped by Jimmy Carter to become U.S. Secretary of Agriculture. Former Republican State Representative Arlan Stangeland defeated DFLer Mike Sullivan to pick up the seat for the GOP. Minnesota has held 160 consecutive elections to the chamber without a special election ever since – the third largest total in the nation behind only Texas and Iowa. Texas has held 172 U.S. House races across the last five election cycles since its last special in the 22nd CD in November 2006. Iowa’s last special was in December 1959 (4th CD) and the state has held 165 elections for the office ever since. After Minnesota at 160, the next largest streaks are in California at 159 in a row (July 2011), Kansas at 157 (November 1950), Tennessee at 126 (November 1988), Idaho at 118 (N/A), Colorado at 110 (March 1983), Utah at 107 (November 1930), Nebraska at 104 (December 1951), and Wisconsin at 100 (May 1993). Idaho is the only state in the nation never to host a special election to the chamber since statehood – 126 years ago. The 76-year streak in Kansas will come to an end in 2017 when 4th CD Republican Mike Pompeo becomes CIA director under Donald Trump. Special elections will also take place next year in California’s 34th CD with Democrat Xavier Becerra resigning to become attorney general of his home state and in Georgia’s 6th CD presuming Republican Tom Price is confirmed to be the next secretary of Health and Human Services. July 1, 1919 (4th CD): Independent St. Paul City Commissioner Oscar Keller defeated Republican Carl Cummins by 12.0 points in a four-candidate field to fill the vacancy caused by the death of three-term Democrat Carl Van Dyke on May 20, 1919. October 16, 1929 (7th CD): Farmer-Laborite Congressional staffer Paul Kvale easily defeated Republican J.C. Morrison by 46.4 points to fill the seat of his deceased father, four-term Farmer Laborite Ole Kvale, who died on September 11, 1929. February 18, 1958 (1st CD): Republican State Senator Al Quie beat DFLer Eugene Foley by 0.6 points to fill the vacancy caused by the death of 16-term Republican August H. Andresen on January 14, 1958. June 17, 1929 (5th CD): Republican Lieutenant Governor William Nolan defeated Democratic attorney Einar Hoidale by 6.8 points in a three-candidate field to fill the vacancy caused by the resignation of six-term Republican Walter Newton effective June 30, 1929 who was appointed secretary to President Herbert Hoover. February 22, 1977 (7th CD): Former Republican State Representative Arlan Stangeland defeated DFLer Mike Sullivan by 20.9 points after the resignation of four-term Democrat Bob Bergland on January 22, 1977 to become the U.S. Secretary of Agriculture. Minnesota’s 39-year stretch without a special election is currently the 14th longest in the country. Following the aforementioned Idaho which has yet to hold a special since statehood in 1890 is Delaware (1900), Utah (1930), New Hampshire (1932), Kansas (1950), Maine (1951), Nebraska (1951), Iowa (1959), North Dakota (1963), Rhode Island (1967), Montana (1969), Vermont (1972), and Alaska (1973). 2 Comments on "Minnesota Eyes Rare US House Special Election in 2017"
1. This piece seems at best premature. One, Representative Ellison is far from a shoo-in to head the DNC, even after the exit of ex-Chair Dean from the contest, and the recent endorsement of some prominent labour unions. Also, there is nothing that would (legally) keep Ellison from reneging on his pledge (to resign). 2. Paragraph 5 (also years past): Is the “Peace Garden” / “Rough Rider” state not regarded as part of the (“Upper Middle West”) region, insofar as this site is concerned? (It would in fact be no big @#$& deal; it arguably does have quite a bit more in common with NE, MT, ID, et. al. than with its neighbours to its S, SE, and E). Re #2: Yes, North Dakota is indeed considered part of this region in Smart Politics’ mind. [However, my detailed data archives are not as robust as of yet for that state, hence its non-inclusion in that paragraph]. RE: #1: Agreed, Rep. Ellison is certainly not a shoo-in, thus the language “…if decided in Ellison’s favor.” I would wager the odds are greater that he will win versus his winning and then reneging on his pledge.